Home DIY Natural Blog Food Dyeing Easter Eggs Naturally is a Fun Family Project! Dyeing Easter Eggs Naturally is a Fun Family Project! Note from Matt & Betsy: Please join us in welcoming one of our newest contributors, Sarah Ozimek! 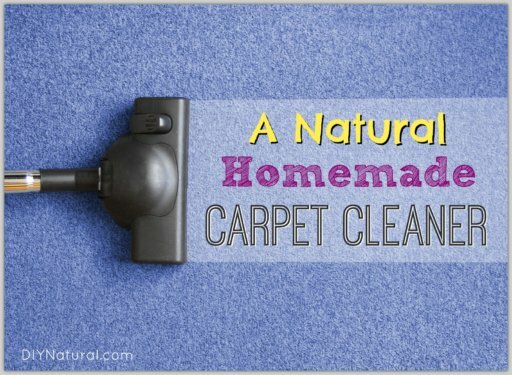 She writes over at Curious Cuisiniere, and has come on board to share her awesome food knowledge with the DIY Natural community. 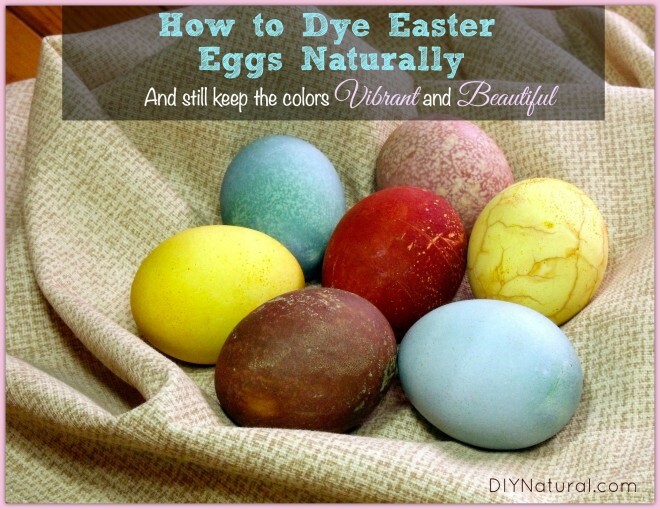 Enjoy her timely article about dyeing your own Easter eggs naturally! It doesn’t matter how old I am, I’m pretty sure I will always want to dye eggs come Easter. The bright colors. The smell of vinegar. The hard boiled egg sandwiches with little bits of dyed white from the cracks that formed when I get a little too excited dropping the eggs into the dye. It’s just one of those things that signifies the season. Eggs have long been a symbol of spring and new birth, for pretty obvious reasons. There are many versions of where the tradition of dying Easter eggs originated, but, no matter the origin, the tradition can be traced all the way back to early Christians in Mesopotamia. That’s way before they had synthetic food coloring! So, what did Christians (and others) do to dye their eggs before the invention of synthetic dyes? They used natural dyes, of course! Nature has given us a beautiful pallet of colors just waiting to be experimented with as dyes. And, there are bound to be quite a few great options for natural dyes in your kitchen right now. You’ve probably experienced the potent dyeing power of beets or turmeric. But, some dyeing ingredients are surprising. Red cabbage, for example, gives a beautiful range of blue and teal hues. And, dried onion skins create quite a bit of depth in the red/orange family. Simmer roughly 2 cups of dye ingredients with 2 cups of water in a small, covered saucepan for 15-20 minutes. Remove the dye from the heat and let it cool slightly. Refrigerate the eggs in the dye solution overnight. Chop the cabbage leaves coarsely before simmering. When you add the vinegar to your dye solution, you will notice the color of the liquid change from blue to pink. Don’t be alarmed. After a nice soak, the eggs still come out blue. Simmer the outer layers from the red onion. The dry layers work just as well as the outermost fresh layers. Keep those dry outer layers from your yellow onions! Once simmered, they play fun tricks in the red-orange and brown family. Peel and chop the beets before simmering. If you have ever worked with turmeric, you know what a potent dye it can be. 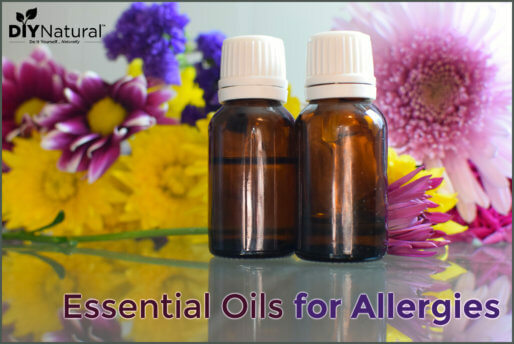 Keep this one away from your clothes and clean up spills immediately. Mix 1 Tbsp turmeric powder with 2 cups of boiling water and 2 Tbsp vinegar. Keep in mind that the effect of the dye will vary depending upon how concentrated the dye is, what color your eggs are, and how long the eggs are in the dye. You can also dye your eggs by simmering the raw eggs with the dye ingredients, water, and vinegar. 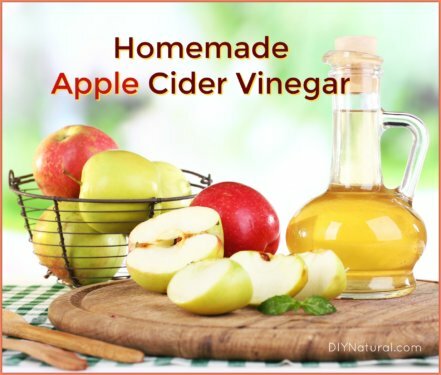 Use the same ratios of ingredients to water and vinegar as you would for the overnight method above. This method is a quick way to batch color eggs, and is particularly helpful if you don’t have the fridge space for a number of jars. Looking for fun ways to use your dyed eggs? How about using them in a Polish Easter Soup or braiding them into an Italian Easter Bread? Have you tried dying Easter eggs naturally? What are your favorite dye ingredients? Thanks Jessica! I’d love to hear how the chlorophyll drops turn out for you! We haven’t worked much with beet root powder, but I don’t see why it wouldn’t do the same job as boiled beets. Enjoy! I only wish you had a way for me to print this out with just the dying information! Like a recipe. Thanks for the wonderful info. I’m going to have to cut and paste it into something I can print out and save. Hi Sandi. At the very bottom of the article you’ll see a print button; you can use that to print the article and even cut out sections you don’t want to include in your print. Blessings.